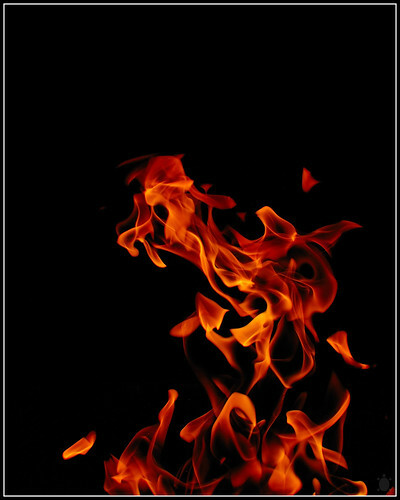 The Daily Spurgeon: We need His fire! ...the fire in the preacher sent of God is not that of mere excitement, nor that alone of an intelligent judgment acting upon the passions; but there is also a mysterious influence resting on God’s servants which is irresistible. The Holy Ghost sent down from heaven anoints all true evangelists, and is the true power and fire. The more we believe in the presence and power of the Holy Ghost, the more likely shall we be to see the gospel triumphant in our ministry. Brethren, there is nothing in the gospel, apart from the Spirit of God, which can win upon man, for man hates the gospel with all his heart. Though the reasonableness of the gospel of Jesus ought to make the belief of it universal, yet its plain dealing with human sin excites deadly antagonism; and, therefore, the gospel itself would make no progress were it not for the divine power. There is an arm invisible which pushes forward the conquests of the truth, there is a fire unfed of human fuel, which burns a way for the truth of Jesus Christ into the hearts of men. From a sermon entitled "Fire - The Want Of The Times," delivered February 7, 1869. Image by Arturo Donate under Creative Commons License.